The bacteria that causes typhoid fever, Salmonella Typhi, is a smart one. We know this because our laboratory has been sequencing the DNA of S. Typhi strains that infect people around the world, and we have found evidence for an accelerating evolution of resistance to antibiotics. After antibiotics were first introduced to treat typhoid in the 1940s, typhoid’s mortality rate plummeted from around 26 percent to just 1 percent. But within 20 years, the first cases of typhoid resistant to chloramphenicol—one of the three first-line treatments for typhoid—appeared, signaling a battle between antibiotic and bacteria. Typhoid strains resistant to all three first-line treatments, known as multidrug-resistant (MDR) typhoid strains, were quick to follow those resistant to only one antibiotic. And when doctors began using second-line antibiotics—more modern but expensive drugs such as fluoroquinolones—typhoid followed with resistance against those drugs, too. A particularly aggressive strain of MDR typhoid, H58, first emerged in the 1990s. H58 has grabbed our attention because, while other MDR typhoid strains have mostly remained in the local area where they first appeared, H58 has quickly spread across the globe. It’s a fast learner that is able to not only evolve quickly, but also multiply and spread rapidly. Recently, the world saw yet another evolution of the H58 strain. 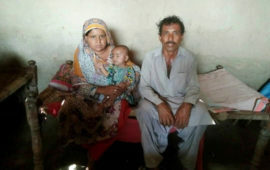 In November 2016, doctors in Sindh, Pakistan, observed cases of a novel H58 S. Typhi strain that was resistant to not only the three first-line antibiotics and fluoroquinolones, but also a third-generation cephalosporin called ceftriaxone. This new strain is classified as extensively drug-resistant (XDR) typhoid. It is only susceptible to a limited number of antibiotics, which can be expensive and difficult to access, especially for low- and middle-income countries. 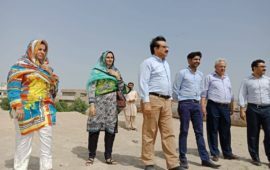 In an effort to learn more about this new XDR typhoid, our team quickly went to work alongside colleagues at Aga Khan University in Pakistan to sequence its DNA—research that was recently published in mBio. We found three concerning issues. First, we found that S. Typhi transformed from MDR to XDR in a single step by acquiring just one highly mobile DNA molecule (what we call a “promiscuous” plasmid) from another bacteria such as E. coli. MDR H58 typhoid in any location therefore has the potential to become XDR typhoid in a similar manner. Second, we found that the new XDR strain is an end product of a global chain of antibiotic-resistant bacteria. 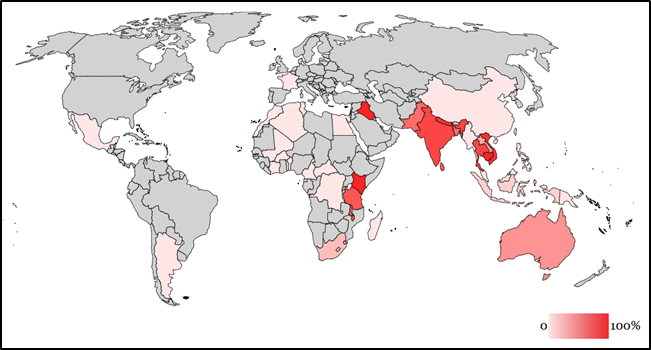 The plasmid that created XDR typhoid is present in a variety of diverse geographic settings across the globe, and once created, XDR typhoid rapidly reproduces itself. 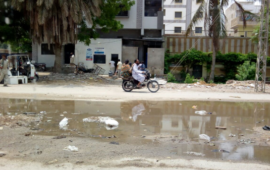 This is a troubling development because previous reports of XDR typhoid have been sporadic and isolated, while this particular strain has already caused a large-scale outbreak and is spreading within and outside Pakistan. It has already been carried as far as the United Kingdom: our colleagues at Public Health England detected this strain in a patient who had recently returned from Pakistan. Finally, our findings confirm the fact that the antibiotic arsenal for typhoid treatment is fading. 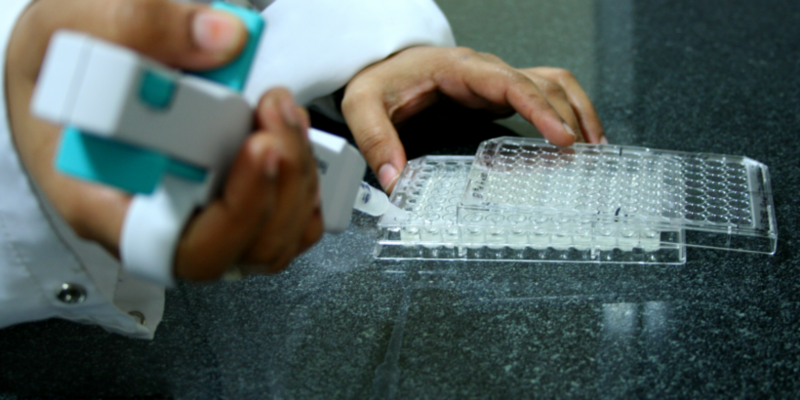 We can no longer rely solely on antibiotics to treat typhoid fever. We need to shift our paradigm away from treatment and toward prevention. Fortunately, we now have a promising new preventative tool. Typhoid conjugate vaccines are a newly WHO-prequalified class of typhoid vaccines that, compared to older typhoid vaccines, are longer-lasting, require fewer doses, and can be given to children as young as 6 months of age. 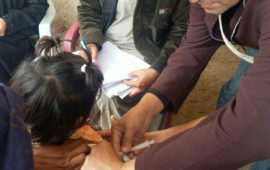 Because they can be given to young children, countries can include typhoid conjugate vaccines in routine immunization programs, developing widespread immunity to typhoid and stopping dangerous strains like H58 from spreading and evolving. When implemented alongside improvements in water, sanitation, and hygiene, these vaccines can have the power to take on typhoid for good. Typhoid may be smart, but we know how to outsmart it. We just have to act now.